2 – The Legend of Dratini : Banned because an old man can be seen pointing a gun towards Ash and Team Rocket, mistaking them for poachers. The man then open the Safari Zone for Ash and friends, knowing they do no harm, but Team Rocket ruins the fun, when they capture Dratini, a Pokemon the old man wanted to keep as a secret. In the end, Dratini is believed to be gone, but it actually evolved into Dragonair! Ash is rising the Dragonair and catches a bunch of Tauros, which are sent to Oak’s lab. Then, the gang promishes the old man to keep the Dragonair event a secret from everyone else, then leaves the Safari Zone. 4 – Holiday Hi-Jinx : Censored due to the fact that Brock catch a cold, and get kissed by a Jynx. Nothing wrong here…exept for black-skinned people who complained about Jynx and Smoochum being ‘racist’ Pokemons simply because they have a human shape and deep black skin. This episode was supposed to air in America tha day of Christmas itself, December 25, and featured Santa Claus (no joking) as well. Jynx and Smoochum were nicknamed as ‘the Negroes Pokemon’, causing an outrage with black-skinned people. As a result, Smoochum’s and Jynx’s skin got colored purple at the release of Pokemon Gold and Silver. And another banned episode who ruins the holidays…. 5 – Barboach and Whiscash (fictional name) : Got banned in Japan due to earthquakes striking the country, doing hundreds of deaths and thousands of injured people. But why did they banned this episode? Because Whiscash, being extremely territorial, caused a magnitude over 8.5 in the episode. Shogakukan thought the episode would remind people of the sad event that struck Japan earlier, so they decided to not air the episode at all. 6 – Team Rocket VS Team Plasma : Another episode who got banned due to natural disasters. Another earthquake struck Japan, doing even more danage than the previous one AND accompanied with a tidal wave. Shogakukan could not delay other episodes to put the Teams’ battle, so it never aired anywhere…not even in Japan. So this is it for the banned episodes. I hope you have found this article interesting. Fans of the Pokemon anime have surely noticed that, when Ash visits Professor Oak’s lab or when an episode is featured there, Tauros roam en mass. The Pokemon belong to, as one may have assumed, Ash. The question though is where did they come from? Most would assume he caught them on that one Saturday morning that they were on vacation to visit their aunts and uncles for that blasted family reunion, or some other excuse. The minority of die-hard fans that proudly admit to have seeing every one of the near seven hundred episodes have probably Googled and found the truth behind the Tauros. The story behind the herd never made it to American television, as it was a banned episode here in the States. The episode starts with Ash, Brock, and Misty, just their names make me nostalgic, reaching the safari zone where the warden, moving to defend the reserve, confronts them with a firearm. Not even a few minutes in and already the episode is banned, given it was aired on 4Kids and they’d have censorship and lawsuits up the wazoo if they’d aired it. Over the next few minutes, Ash and co. get set up, buying safari balls and such, when Team Rocket gets caught eaves dropping, ruining their plan already. The three baddies consent to staying with the warden while the three buddies go and explore. During this time, Ash unintentionally catches not the initial one, but twenty-nine extra Tauros. Meanwhile, Team Rocket interrogate the warden about a picture Misty had noted, one of a Dratini. During their talks, Jessie, James, and Meowth both try force, again using a weapon, and the good-cop bad-cop routine, with Meowth sporting a Hitler moustache. Oh, look, another blatantly obvious reason the show was banned. Ultimately, Team Rocket discovers a Dratini hiding in the safari zone’s lake, Ash, Brock, and Misty save the day with the help of the Dratini’s Dragonair mother, and the warden is reunited with the Dratini from the aforementioned photo. The episode concludes with the tried-and-true final joke of the old Pokemon episodes, with Ash sending his Tauros catch to Professor Oak, who is trampled by the newly caught herd. In later episodes, there are a few mentions and use of the Tauros Ash caught, including the use of one in a tournament, and one vague reference to their origin. Buizel is my favorite water type from the Sinnoh region. It learns great moves like aqua jet and waterfall. It was also amazing as Ash’s Pokemon in the anime. Buizel mastered the special move ice aqua jet. This move required Buizel to be hit by an ice type move like ice beam or ice punch. Then he would plow forward and hit the opponent with his move combined with the ice. Buizel is a great Pokemon to have on your team. I used one in my Diamond game and it was amazing. I think that Buizel is one of the cutest water types. Buizel eventually learned ice punch in the anime. I thought that was awesome. Buizel was also in a contest with Ash but lost. That was the first time in participated in a contest before. Dawn Buizel’s original trainer never got to use it in a contest before it was traded over to Ash. The trade was done because Ash’s Aipom liked contest while Dawn’s Buizel like Gym battles so they did a trade. Buizel had its first Gym battle at the Gym in Veilstone City where Buizel went up against Maylene’s Lucario. Buizel learned the move Water Pulse during the battle. The battle turned out in a draw and Buizel was upset. Later Buizel fought its evolved form at the Pastoria City Gym. Buizel was able to defeat it with it’s newly learned Water Pulse. Buizel fought many tough Pokemon but it usually won the battle. This is why I like Buizel so much no matter how tough the battle Buizel just keeps on fighting. For almost sixteen years, Pokemon continues to be one of the best-selling games, popular TV shows, and have many other related products, like cards or bathroom products. It was an ingenious idea to create unique creatures called Pocket Monsters, which was shortened to Pokemon. After a few years from its release date in late 1995 (around when I was born), it gained popularity among many, including me. 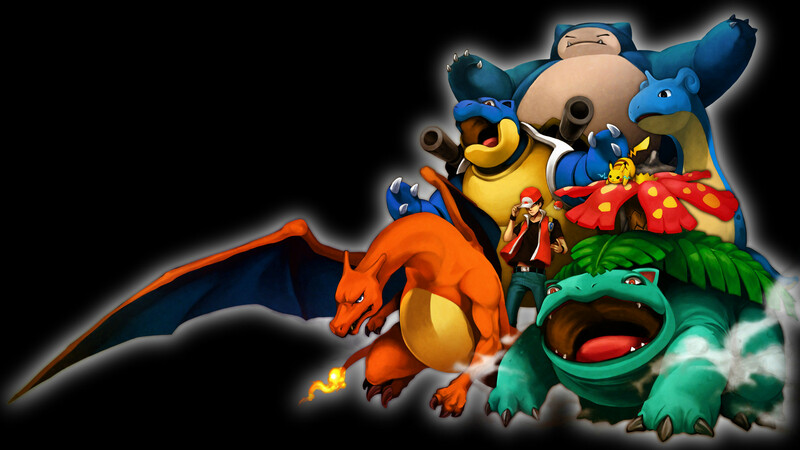 Soon, fan bases popped out, and people who shared a common interest in Pokemon joined together. I myself learned to respect this idea and become a part of it. After a few years, there are now five different regions, and almost 700 species of Pokemon, and there are still more waiting to be discovered. The TV shows are still continuing, regardless of some troubles in the beginning. I guess it is just an idea that kids love, and cherish. Even in adulthood, there are children at heart playing the games and even entering the Pokemon World Championships. There are those (including me) that wish Pokemon were real, and there is even some working towards that goal virtually. One attributing reason to Pokemon’s success is the unique Pokemon that exist so far. Many are attracted by their looks, two popular examples being Eevee (and its evolutions) and Pikachu, the global icon. Another reason why it has been dominating the market in games is that their games are interactive and give you a chance to feel like an actual Pokemon Trainer, as compared to games where you play as a certain character. The Pokemon TV series is definitely one worth watching again. But there’s a whole other side to the story. Currently, a total of five episodes have been banned. The process is that the creators of the show in Japan send the completed animation to the U.S. for a redub in English. 4Kids, which (used to) broadcast Pokemon, found some of the episodes a little too extreme for children (because in Japan, there were less restrictions on what children could watch). Instead of airing the episode, they would skip it. The first banned episode is from Season 1, Episode 18. Its name was “Beauty and the Beach”, and its setting was centered at Porta Vista, a beach town. Basically, Ash and his friends decide to help fix a friend’s boat by entering a Pokemon Beauty Contest and winning prize money. Team Rocket, who is there at the time, also decides to give it a shot. In Japan, the animators included a scene where James dressed up to look like a woman, which was supposed to be pure comic humor. Apparently, 4Kids decided it was not appropriate for children in the U.S. to watch and banned the episode. Even though this episode was the scorn of 4Kids, it eventually became a “lost episode” and aired in 2000, even though the original in Japan aired in 1997, making this the longest delay for an episode to be broadcasted. Since the beginning of Pokemon, there have been sites designed to help players with their games. Some famous ones, such as Serebii (which I use a lot) and Bulbapedia (Pokemon Wikipedia) help by explaining central concepts, such as EVs (and EV training), a list of complete Pokemon and their abilities (if more than one), etc. Serebii focuses more on archiving everything Pokemon-related, such as chronicling the Pokemon TV seasons, the comics/manga, Pikachu-related short films, and much more. Gamers use both Serebii and Bulbapedia to help with finding strategies to catch Pokemon. Serebii lists, the Capture Rate, but does not explain this. If you go on Bulbapedia, however, it will give you the definition of Capture Rate, which is the chance of using a regular Poke ball on that Pokemon in the wild (and catching it). The lower the number, the less chance there is. When I got Pokemon White Version, I wanted to sign up for the Global Link. The site told me I had to create an account at the Pokemon Trainer’s Club. After I did, I searched around the site, looking for something to do. Although this site is kid-friendly, I didn’t mind it (being a kid at heart too) and decided to play a couple of games in the Fun Zone. The site tutorial told me that playing games earns Trainer Tokens, which can be used to spend on a number of items for your trainer sprite. Watching episodes online (in the Animation section) can also earn Trainer Tokens. To curb the enthusiasm, however, the site only lets you earn fifteen every week, and it resets on Saturday. I don’t seem to mind, as the accessories in the store are very cheap, ranging from two to six tokens on average. For those that have been lifelong fans of the game, wallpapers are available for The site features a Pokemon TCG (Trading Card Game) part of the site filled with strategies for winning at the game, a list of all boosters released from EX Ruby and Sapphire, which was about six or seven years ago.